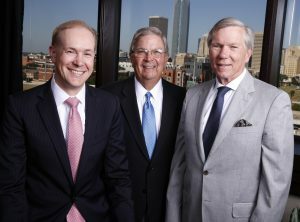 OKLAHOMA CITY, January 25, 2019: Oklahoma City-based Presbyterian Health Foundation is kicking off its first grant cycle of the New Year by awarding more than $1.4 million dollars in bridge, equipment and symposium grants to support medical research discoveries at both Oklahoma Medical Research Foundation and the University of Oklahoma Health Sciences Center. Over the past several years, Oklahoma has ranked near the bottom in its overall health compared to others states in the nation. According to an annual report from America’s Health Rankings, the state fell from 43rd to 47th in 2018. While the bad news about Oklahoma’s health rankings has been consistent, many of the projects underway on the Oklahoma Health Center’s campus offer hope for improvement. Several of the projects are tackling chronic health conditions including obesity and autoimmune disorders, among others, in an attempt to achieve results that will help the state move up in the rankings. One funded project at the OU Health Sciences Center aims to study maternal obesity and its relationship with breastmilk and infant growth, an important area of public health interest for Oklahoma’s mothers. This multi-investigator project will work in collaboration with investigators from the University of Minnesota. The goal is to support women and infants during a critical perinatal period to prevent obesity, diabetes, and cardiovascular disease. Another funded project underway at the Oklahoma Medical Research Foundation aims to answer questions about Sjögren’s syndrome, a chronic autoimmune disorder in which the body’s immune system attacks its own saliva and tear-producing cells, resulting in dry mouth and dry eyes. This syndrome often occurs with other disorders, such as rheumatoid arthritis and lupus. Funds will also support a convening of “The Dopamine Club,” an established day-long symposium concentrating on motivated behavior associated with the brain region called the basal ganglia. This will be the first time the symposium will be offered in Oklahoma. Presbyterian Health Foundation has a long history of supporting the important research of both OMRF and OU Health Sciences Center, and is committed to seeing its many projects translate into real health discoveries that will improve the lives of all Oklahomans in the coming years.